So long Sidmouth – bring on Broadstairs! Home→Uncategorized→So long Sidmouth – bring on Broadstairs! ← The adventures of… comics, IVFDF and contras! It’s been a busy few weeks with more to come! I’d never manage to fit the whole of this summer’s news into one blog, so I’ve found a quick moment for a mid festival-tour update! After all that hard work morris dancing in the day I gladly got the opportunity to watch everyone dance instead by calling for the final ceilidh on Sunday. It wasn’t just the final ceilidh of the festival but the final ceilidh ever in the Guy Nelson Hall, which is scheduled to be demolished this year. It was a lovely dance to call, especially with such fantastic music (as always) from DanceCupola. 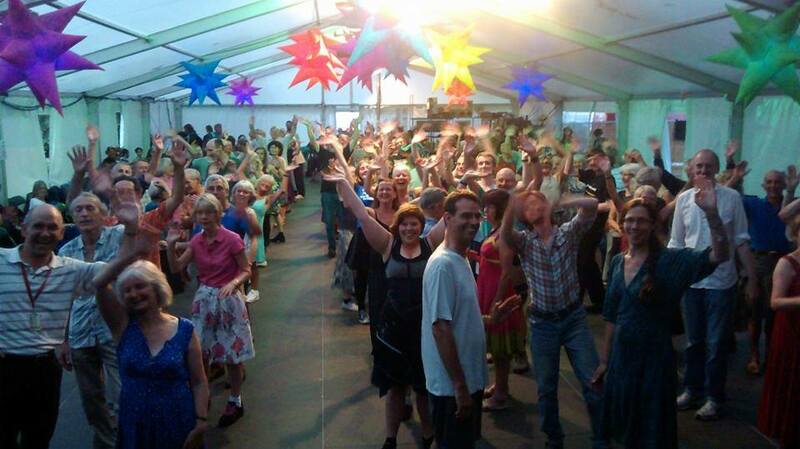 Next, on to Sidmouth – another jam packed festival! The first four days were particularly full running workshops for the Children’s Festival doing folk themed science, and morris workshops for Shooting Roots. 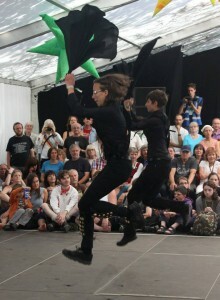 Myself and a fellow dancer from Black Hart Morris also entered the John Gasson Jig Competition on Sunday and won a prize for the Best Newcomers. A good start for the team considering that it was our first dance out! 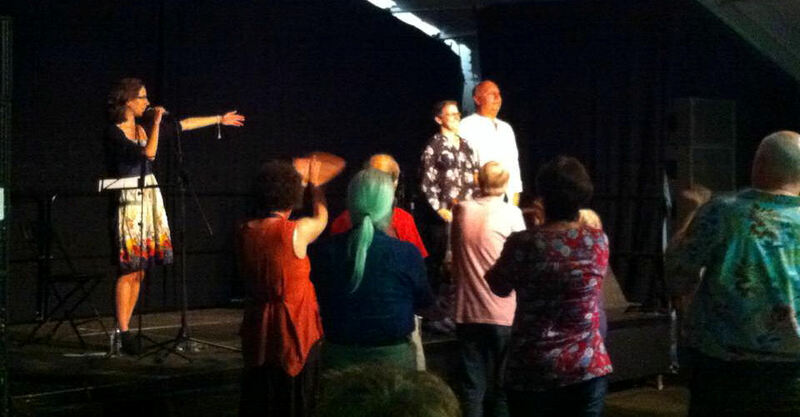 The workshops over the week also went well, culminating with the Shooting Roots Morris workshop participants performing in a morris tour on the seafront where they wowed the crowds with two cotswold dances (Banbury Bill in the Bampton tradition with self penned choruses and Mrs Casey in the Ascot-under-Wychwood tradition) as well rapper dances of their own devising (as taught by Silver Flame Rapper). I’m at Broadstairs this week for more Shooting Roots workshops, then Whitby (dancing with Boggarts Breakfast) and Towersey (with Shooting Roots and calling with the Simon Care Trio on Sunday) so check back for more post-festival updates!